From an award-winning author this story is about a young woman who is in the throws of giving up on life. Her journey into inter-generational friendships brings a fulfilling story to the reader. News of Gift of a Lifetime: Finding Fulfilling Things in the Unexpected travels! A great Christmas gift the whole family can enjoy together! 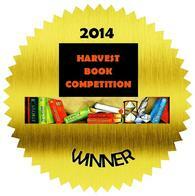 Winner: Young Adult Category of the 2014 Harvest Book Competition. For more information, view the Showcase Magazine here. 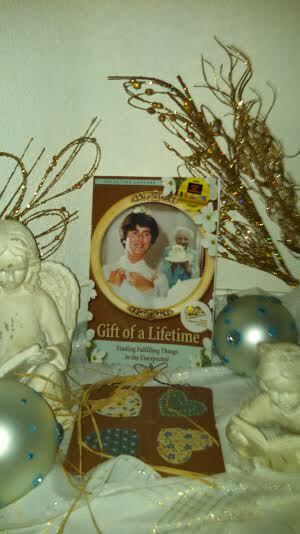 Congratulations on your recent release of “Gift of a Lifetime.” Charlotte and I ordered a couple of copies and just love the entire book. The “photographs” are magnificent and really adds to the reading pleasure. It’s a wonderful book. It is both a joy to read and a comfort to hear such a touching story. Congratulations, again. You did good! 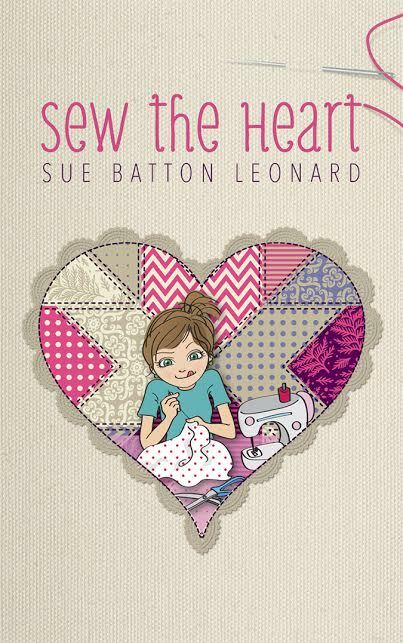 Oh Sue… I finished your lovely book last night… I made myself take it slow after the first half and treated myself to a few chapters each night… finished it with tears on my cheeks and a happy heart! I just recommended to my Virtual Book Club friends. You have a wonderful gift and a blessed outlook on life and I am glad you share it with all! Your Fanny is smiling down at you for sure!!! I just finished reading your book on my kindle. I loved it! So sweet and so simple, yet you captured so many details and personalities. Reading it brought back many memories from my own childhood in CT. We, too, had a “Fanny,” her name was “Weezy” (Louise was her real name). She wasn’t as quick to catch on to our antics as your Fanny was though! I was touched by the strength and courage of a small girl struggling with poor health, the dedication of heart doctors who developed their surgical techniques that helped this girl live a healthy life, the protection of her twin sister and the house help who seemed to be an ever present focus in the household. Gift of a Lifetime is indeed that…a story of how the simplest words can have the most impact on our lives…can make us stop and think…can help us change our ideas and attitudes. Sue Leonard beautifully describes how the wisdom and faith of a simple, uneducated woman impacted her whole family and impacts us, the readers as well. Sue Leonard’s memoir is filled with a summer’s sweet memories of childhood; and deepened with the introduction of Sue’s beloved Fanny. Sue’s ability, through dialogue, to share Fanny’s voice and powerful role in Sue’s developing years, is a gift to readers. Gift of a Lifetime: Finding Fulfilling Things in the Unexpected, is an unexpected delight. Love, caring and attachment are the themes that make her story poignant and touching. The characters in this true account are ones the author knows and depicts well…be prepared to smile and have your heart warmed! Psst…..The audio book holds the real treasure! It’s my favorite. The voice is not to be missed. It will enhance your reading pleasure! Listen to, or read, this memoir on your Apple, Android orWindows devices. 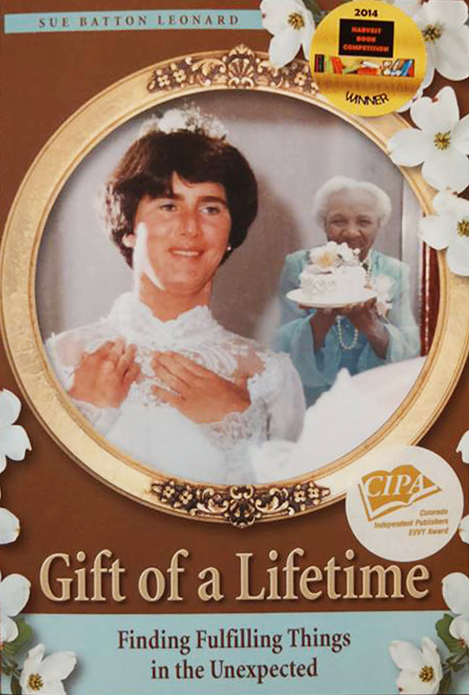 If you would like to distribute ‘Gift of a Lifetime,’ please contact Ingram Books for more information. I appreciate your attention to the Arts! i enjoyed several of your posts, thank-you. I also appreciate your business direction as well as this though provoking blog. I enjoy your blogs each and every day! They always provide great insight to Steamboat Springs, business and life in general. It inspires me to appreciate the simple things in life. Thanks, Jan – yes – I am having a grand ole time out here. I really am! These blogs are the best. Never really understood the blogusphere but with yours I know. I enjoy seeing people being passionate and confident in their work and business. i couldn’t leave a comment on your recent post, so i’m leaving it here. I just saw a comment you left in one of my post a few months back, so i checked yours. your posts are beautiful and though im in my 20s, i’d have to agree that the world is different from what it was. Thank you for your kind words. I appreciate your comment. Thanks for the beautifully written piece on the Art of George Carlson. He is one of the greatest sculptors and painters of our time and is passionate about expressing the rich and subtle colors of Nature. Thanks for sharing his Art with those who read your blog! Svend, thank you for your kind words. I appreciate it. Hey there, I was looking through some blogs and I stumbled to your webpage from yahoo. I read a couple of your posts and thought they are really good. Thank you, I’ll try to come back to your site soon. Cheers, a great read – added to bookmarks so will check back for new content and to read other people’s comments. Cheers again. Thanks for visiting our website, and do return! Very great info can be found on blog . Just desire to say your article is as astonishing. The clearness in your post is simply great. Thanks a million and please keep up the gratifying work. Your idea is outstanding; the issue is something that not enough people are speaking intelligently about. We are a group of volunteers and starting a brand new initiative in a community. Your blog supplied us valuable information to work on. You have done a marvellous job! Hello, I first would like to congratulate you on making such a great site, I definitely found your information very interesting and entertaining. I must say that overall I am really impressed with this blog.It is easy to see that you are passionate about your writing. I look forward to more updates and will be returning. Kudos for posting an extremely useful weblog. Your web blog isn’t only informative but probably very artistic too. You will find typically very several folks that can write much less simple articles that creatively. Take care of the favorable writing !! Thanks for your time because of this! I havent been this moved by using a blog for some time! You are someone that has something to say that folks should hear. Keep within the good job. Keep on inspiring the public! You make some excellent points. How does one create ideas? Sometimes I feel like I am running out of good material to examine and share with my readers.. I honestly never thought of this before you shared. Keep posting man. I absolutely enjoy reading your notions because consequently they offer me – (and i am sure your other readers) a great deal to ponder. Thank you a do visit again.. Thanks a lot for the post, Really good content on this site. Always looking towards new post! Wow! I can say, your blog has to be one of the greatest written blogs which i have viewed from a quite a while.Whatever i wouldn’t get be capable to create posts that happen to be as fascinating| as yours. Just maybe I’ll have to read on yours and pray that some day I am able to write at a subject with as much knowledge on your own! Bravo!! Great blog! I dont think Ive seen every one of the angles of your subject how youve cleared them out. Youre an accurate star, a rock star man. Youve got so much to talk about and know a great deal about the subject which i think you must just teach a class regarding it…HaHa! I feel that is among the such a lot significant information for me. And i’m happy studying your article. But want to remark on few common issues, The website taste is ideal, the articles is in point of fact nice :D. Excellent task, cheers. Extremely great content. I actually basically became aware of an individual’s weblog together with desired that will point out the fact that I’ve actually liked looking through an individual’s blog site together with content. Nonetheless I’ll get following an individual’s provide for together with That i intend that will browse an individual’s blog site for a second time. this is without a doubt one of the better websites Ive read. Youre so insightful, have much real stuff to take into the table. I hope more and more people check this out. Great job and great blog. I cant wait to see more, keep em comin! Thank you due to this! I havent been this moved with a blog for an extended time! You’ve got it, whatever it means in blogging. Keep in the good job. Keep on inspiring people! That is the kind of information that is meant to be shared around the web. magnificent issues altogether, you just gained brand a new reader. I appreciate that you place excellent content out that is fine and well written. Amazing blog! Do you have any recommendations for aspiring writers? Any tips? Thanks! Good information for readers as for showing the quality of the author. good work! this is unquestionably the most effective websites Ive read. Youre so insightful, have so much real stuff to bring to your table. I really like your writing style, great info, thanks for putting up :D.
Thanks for the crucial tips I have really learned from your blog. thanks for your kind words and do visit All Things Fulfilling again. Great information over again! Thumbs up! Thank you for your comments and do return again to this site. Hi my friend! I wish to say that this article is amazing, nicely written and significant info. I would like to see more posts like this . Thank you for your comments and stay tuned for more blogs about the independent publishing industry. I agree with the conclusions and look ahead to your updates . Saying thanks a lot will not just be sufficient., for ones wonderful ability in your producing. much success with your business results! Have you considered applying to be a newpaper writer? Extremely good writing! Thanks for visiting this blogsite and for your comments too. Incredible! Your article has quite a few comments. How did you get all of these people to see your post I’m jealous! I’m still getting to know all about blogs on the internet. I’m going to click on more articles on your website to get a better idea how to achieve success. Thanks for the assistance! You are making some excellent points. How do you create ideas? Sometimes I find myself like I am running out of good material to examine and share with my readers.. Thank you for your comment, and good visual appeal is important, so we appreciate that you feel the site has that. Your post has made me think about an argument from another angle. This is quite rare when I change my conception about such subjects but it looks that you’ve done it. The day has started with something new! Thank you! I like this website very much, Its a really nice billet to read and obtain info. Hi my friend! I wish to say that this article is amazing, well written and includes all significant info. I¡¦d like to see more posts like this . Outstanding post, you have pointed out some superb details , I as well think this s a very fantastic website. Your post has made me think about an subject from another context. This is quite rare when I change my idea about such issues but it looks that you’ve done it. The day has begin with something new! Thank you! Just wanna say thank you for the data that you basically have been sharing. I discovered your website and genuinely appreciate what you are performing.Thanks for nice sharing. Sweet internet site , super design , really clean. Appreciate your post, useful stuff here than it. Wonderful content on this site. Always anticipating new post! Thank you just for this! I havent been this moved by way of blog for many years! You’ve first got it, whatever meaning in blogging. Well, You are someone who has something to speak about that folks should hear. Keep on the good job. Keep on inspiring folks! I dont know points to say. this is unquestionably among the finest websites Ive read. Youre so insightful, have a whole lot real stuff to create on the table. I hope that more people check out this. Great job and great blog. I cant wait to see more, keep em comin! I’ve looked for some info of this topic for the last many days? Your blog is significantly treasured. This is a good perspective, but is not help make virtually any sence at all dealing with that mather. Any kind of method thank you in addition to pondered aim to talk about your publish towards delicius but it really is apparently problems using your websites is it possible to make sure you recheck it. thank you again. You can certainly see your enthusiasm in the work you write. The arena hopes for even more passionate writers such as you who are not afraid to mention how they believe. At all times follow your heart. Hey, just looking around some blogs, seems a pretty good platform you are using. I’m currently using WordPress for a few of my sites but looking to change a single of them over to a platform similar to yours as a trial run. Anything in particular you would recommend about it? I am not rattling wonderful with English but I come up this real easy to interpret . What is up my own folks, o . k pay attention I acquired this knocking web site houses for sale in boston . It’s all of the tips and tricks to discover free of charge cash. Take a look! Nice internet site incidentally! I would like to thnkx for the efforts you’ve put in writing this site. I’m hoping the same high-grade site post from you in the upcoming also. Actually your creative writing abilities has inspired me to get my own web site now. Really the blogging is spreading its wings rapidly. Your write up is a good example of it. It is comments like this that make blogging all worthwhile. I appreciate your reponse greatly. Nice website! Much better than others I have recently study addressing this particular. Design is actually nice, thoughts basically duplicate this particular? Simply kidding?-Thanks! Hello, an excellent article dude. Thanks But I’m experiencing difficulty together with your rss . Don’t know why Struggle to join it. Possibly there is anyone else having similar RSS trouble? Anybody who is going to assist please reply. Thnx! You are making some excellent points. How do you develop ideas? Sometimes I feel like I am not having enough good material to examine and share with my readers.. I honestly never thought of this before you shared. Keep posting. I truly enjoy reading your notions. It furnishes me with a great deal to carefully consider. hi, great blog post. will come back later. I was reading through some of your articles on this site and I conceive this web site is very informative ! Continue putting up. Fantastic website, and it appears like you have a ton much more site visitors as well, since the last time I was here. Ciao! Hello i try to open your blog within firefox and its appears humorous, we tink the problem is out of your hosting ,or maybe through me personally but nonetheless you’ve got a nice set up for that advertisements, we writing in this post since you might find it when you are validating comments, Keep up the good function Andrei through Romania. It’s the best time to make some plans for the future and it’s time to be happy. I’ve read this post and if I could I wish to suggest you few interesting things or advice. Perhaps you can write next articles referring to this article. I want to read even more things about it! Woah! I’m really digging the template/theme of this site. It’s simple, yet effective. A lot of times it’s tough to get that “perfect balance” between usability and appearance. I must say that you’ve done a excellent job with this. . Excellent Blog! I added your blog to bookmarks. And i’ll read your articles more often! Before.You got fantastic nice ideas there. I made a research on the topic and most people will agree with your blog. Can I just say what a relief to find someone who actually knows what theyre talking about on the internet. You definitely know how to bring an issue to light and make it important. More people need to read this You definitely have the gift. Thank you so much for giving everyone an extraordinarily remarkable opportunity to read articles and blog posts from this web site. It really is so pleasurable . And definitely, I’m certainly fascinated concerning the breathtaking knowledge you serve. This blog seems to recieve a great deal of visitors. How do you get traffic to it? It offers a nice unique twist on things. I guess having something authentic or substantial to talk about is the most important thing. About All Things Fulfilling Fantastic goods from you, man. I have understand your stuff previous to and you are just too magnificent. I actually like what you’ve acquired here, certainly like what you are saying and the way in which you say it. You make it enjoyable and you still care for to keep it wise. I cant wait to read far more About All Things Fulfilling again from you. Thanks For Share . Awesome! I appreciate your input to this matter. It has been insightful. You do the an ideal work of authoring. Is there anybody who can assist me on this? Wonderful post along with very easy for you to recognize description. Exactly how can My spouse and i attempt receiving authorization for you to submit component in the post inside my future news letter? Providing suitable credit history to you personally your creator along with url on the blog wouldn’t certainly be a trouble. About All Things Fulfilling Wonderful goods from you, man. I’ve understand your stuff previous to and you’re just extremely excellent. I actually like what you’ve acquired here, certainly like what you are stating and the way in which you say it. You make it enjoyable and you still care for to keep it sensible. I can’t wait to read far more from you. Thanks For Share About All Things Fulfilling.I can’t wait to read far more from you. Thanks For Share About All Things Fulfilling. You’ve got a great blog there keep it up. I’ll be watching out for moreposts. Terrific content and also quickly able to fully understand story. Good morning, I was just browsing some sites and I got to your site from bing. I read a couple of your posts and thought they were pretty good. Thank you, I will stop by your website soon. Nice web site! Much better than the others I have lately. Good post. I learn something more challenging on totally different blogs everyday. It is going to all the time be stimulating to read content from other writers and practice a little bit one thing from their store. I’d choose to use some with the content on my blog whether or not you don’t mind. Natually I’ll offer you a link in your web blog. Thanks for sharing. Can I submit your submit to my weblog? I will add a one way link to your forum. That’s one really candy post. Fantastic article, thank you for sharing the info. It’s not all too often that you simply read an article where the poster understands what they’re blogging about. Sentence structure as well as spelling are spot on as well, only trouble We seemed to possess was bringing up the website, seemed sluggish. Looks like additional site visitors had exactly the same difficulty? A unique problem is really that video clip gaming became amongst the all-time most important kinds of recreation for people today of virtually just about every age. Young children get pleasure from video clip games, and adults do, too. Your XBox 360 is just with regards to the favourite video game titles systems for a lot of who love to have a very ton of pursuits readily available to them, also as who love to find out are living with some other people globally. Thanks for sharing your thoughts. About All Things Fulfilling Wonderful goods from you, man. I have understand your stuff previous to and you are just extremely excellent. I really like what you have acquired here, certainly like what you’re stating and the way in which you say it. You make it enjoyable and you still care for to keep it wise. I can’t wait to read far more About All Things Fulfilling again from you. Thanks For Share. This one is an inspiration personally to uncover out far more related to this subject. I must confess your data prolonged my sentiments as well as I am going to right now take your feed to stay up to date on every coming weblog posts you would possibly probably create. You are worthy of thanks for a job completely performed! Hey this is a good post. very informative. I was just searching for this info for some time. After six hours of continuous Googleing, finally I got it in your site. I wonder what’s the Google’s problem that doesn’t rank this kind of informative web sites closer to the top. Normally the top web sites are full of garbage. Hey There. I found your blog using msn. This is a very neatly written article. I’ll make sure to bookmark it and come back to learn more of your helpful information. Thanks for the post. I will certainly comeback. You’ve got a great blog there keep it up. I’ll be watching out for more posts. inspiring insights you are sharing. I love the way you are sharing it. This is a really good weblog. I’ve been back again several times in the last 7-day period. Some really excellent articles on this website , thanks for contribution. Yo!. Absolutely loved checking out your article. It was especially informative and helpful. I trust it’s ok with you if I do some writing about this post on my personal internet site. Will also be doing a linkback to this. Nice site theme! Cheers. I can’t say that I completely agree, but then again I’ve never really thought of it quite like that before. Thanks for giving me something to think about when I’m trying to have a blank mind while trying to fall asleep tonight lol.. This is a really good study for me, Ought to admit that you just are a single of the best bloggers I ever saw.Thanks for posting this informative article. Really useful stuff, this is certainly well worth a bookmark, thank you. Great stuff, a really good read – added to bookmarks so will visit back for new content and to read other people’s comments. Thanks again. Hey, very interesting post, i look forward your next article ! We’re a group of volunteers and starting a new scheme in our communityYour web site offered us with valuable info to work onYou’ve done a formidable job and our entire community will be thankful to you. Good work on this. One of several undesirable things I found with blogging is having to spend time reading through every one of the comments. Certainly, I am contributing to your work load right here, however it is with the greatest of intentions. I just wished to say that I appreciated this post. Wonderful piece of writing, lots of the information was rather useful. I observed this sweet good post today. Grazie for the really splendid posting! I truly enjoyed reading it, you will be a great writer.I will remember to bookmark your web site and will often come back someday. I want to encourage that you continue your impressive writing, have a nice afternoon! I’m sure you have found insight from the words, “Power never takes a back step – only in the face of more power..”. Hi there! I am delighted reading your post! Your wonderful stories makes me coming back to keep on reading. Awesome content, the majority of the material was really worthwhile. I’ve been browsing online more than three hours today, yet I never found any interesting article like yours. It is pretty worth enough for me. In my view, if all web owners and bloggers made good content as you did, the internet will be a lot more useful than ever before. My friend constantly spoke about this blog yet somehow this is now the first article I have read up to now. Im highly amazed and now a reader. I am blown away by the caliber of material on this blog. There are a bunch of amazing information here. I am sure I will visit this site quite a bit. I was very pleased to find this site.I want to thank you for this great read!! I have enjoyed every little bit of it and I have you bookmarked to check out new stuff you post. You can definitely see your enthusiasm within the paintings you write. The world hopes for even more passionate writers such as you who aren’t afraid to mention how they believe. All the time go after your heart. I simply discovered your website yesterday and that i have been reading through this often. You really have a ton of helpful information on the website and that i enjoy the specific type of the web page also. Continue the good work! Hi! I’ve been following your blog for a long time now and finally got the bravery to go ahead and give you a shout out from Atascocita Tx! Just wanted to tell you keep up the great work! This blog is perfect for anyone who wants to know about this subject. You know a lot about it. I adore you’r web blog template, which template do you have? please comment back. 22. My brother recommended I might like this website. He was entirely right. This post actually made my day. You cann’t imagine simply how much time I had spent for this information! Thanks! I was been scouring the websites for this info and I needed to thanks for this post. A colleague of mine advised me to take a look at this website month or so ago, since we both enjoy the exact same aubjects and I have to say that I’m really amazed. gonna have to do some more research on this, thanks. I like this About All Things Fulfilling , enjoyed this one regards for posting keep update About All Things Fulfilling. We’re blown away by the caliber of attentiveness on the webpage. There are a lot of amazing information here. I am sure I will check out this site often. howdy, noted blog on jobs. such a person helped. Hey there would you mind sharing which blog platform you’re working with? I’m going to start my own blog in the near future but I’m having a difficult time choosing between BlogEngine/Wordpress/B2evolution and Drupal. The reason I ask is because your design seems different then most blogs and I’m looking for something completely unique. P.S Sorry for getting off-topic but I had to ask! Great stuff, a very good read – added to favourites so will pop back for new content and to read other people’s comments. Cheers again. Thanks for one’s marvelous posting! I really enjoyed reading it, you can be a great author.I will make certain to bookmark your blog and may come back later on. I want to encourage continue your great writing, have a nice day! I don’t even know how I ended up here, but I thought this post was good happy blogging. Have you ever considered publishing an ebook or guest authoring on other websites? I have a blog based on the same subjects you discuss at https://allthingsfulfilling.wordpress.com/about and would love to have you share some stories/information. I know my audience would enjoy your work. If you’re even remotely interested, feel free to send me an e mail. Great articles and content very informative looking forward to reading more. Creating Parliament pretty much silky in texture, the unique filter enhances the delight of that tangy Parliament aroma. Duty Free Parliament 100 Blue cigarettes. I really wanted to construct a quick note to appreciate you for all the splendid tips you are writing on this site. My rather long internet lookup has at the end been rewarded with reputable insight to talk about with my family. I ‘d repeat that most of us site visitors actually are really blessed to live in a useful place with very many lovely individuals with helpful principles. I feel pretty fortunate to have encountered your webpages and look forward to many more cool minutes reading here. Thanks once more for everything. I am extremely impressed with your writing, but as well as with this beautiful layout of your blog. Is this a paid theme or did you modify it yourself? Either way keep up the excellent quality writing, it is rare to see a great blog like this one today..
I’ve read through a few of the posts in your blog currently. And I truely enjoy the way you blog. I had it to my bookmark and will be coming back quickly. This is my second visit to this site,and I would like to say thank you for bringing your great ideas and time into the stuff you publish in your website. Tolles Blog! Weiter so, ich schaue sicher nochmal bei Dir vorbei. I love the way you presented your post above. You are a blog mega guru! Great information shared..I am very happy i have seen this article. Thanks on your marvelous posting! I quite enjoyed reading it, you are a great author.I will make sure to bookmark your blog and definitely will come back down the road. I want to encourage you continue your great writing, have a nice day! First of all I want to say superb blog! I had a quick question which I’d like to ask if you don’t mind. I was interested to find out how you center yourself and clear your thoughts before writing. I have had a difficult time clearing my thoughts in getting my ideas out there. I do enjoy writing but it just seems like the first 10 to 15 minutes are generally wasted simply just trying to figure out how to begin. Any recommendations or hints? Thanks! Thank you for sharing superb informations. Your website is so cool. I’m impressed by the details that you’ve on this blog. It reveals how nicely you understand this subject. Bookmarked this website page, will come back for extra articles. You, my pal, ROCK! I found just the info I already searched all over the place and just couldn’t come across. What a great web site. My partner and I absolutely love your blog and find many of your post’s to be what precisely I’m looking for. Does one offer guest writers to write content to suit your needs? I wouldn’t mind writing a post or elaborating on a few of the subjects you write about here. Again, awesome weblog! Need to admit that overall Im really amazed with this particular web page.You can easily note that you are excited about your writing. If only I had your writing ability I count on more updates returning. Some truly exciting items you have got here. Possibly not too many persons thinks the way you do. Definitely, I’m just pleased regarding the way you have written in relation to this particular topic. It truly is well written, truly. I would definitely love to return once again to read a lot more of your content. Right to the idea and also well written! Exactly why can not everybody else be like this? Just thought to say thanks for putting up a great effort for your website. Extremely interesting post thank you for sharing I just added your website to my bookmarks and will probably be back. By the way this is off subject but I truly like your blogs layout. whoah this blog is magnificent i really like reading your posts. Keep up the great work! You already know, many people are searching around for this info, you can aid them greatly. Have you considered applying to be a newpaper writer? Extremely nice grammar! Great post, you have pointed out some great details, I likewise believe this is a very excellent website. You should take part in a contest for among the best blogs on the web. I will suggest this site! Thanks for the marvelous posting! I genuinely enjoyed reading it, you’re a great author.I will make certain to bookmark your blog and may come back down the road. I want to encourage you continue your great job, have a nice weekend! I am amazed the way you illustrate it. I think i will be coming back to read some of your post. -Cheers, Mike. Hi there, You’ve done a fantastic job. I will certainly digg it and personally suggest to my friends. I am confident they will be benefited from this website. Hi there very nice website!! Man .. Excellent .. Wonderful .. I’ll bookmark your website and take the feeds additionally¡KI am happy to find a lot of helpful info here in the post, we want develop extra techniques on this regard, thanks for sharing. . . . . . I just have to know: Is it possible to have lamb without mint jelly? Thanks on your marvelous posting! I seriously enjoyed reading it, you will be a great author.I will be sure to bookmark your blog and may come back later on. I want to encourage continue your great job, have a nice weekend! And what’s in the back 40? You could have your own 9 hole course. It seems I remember that you haven’t even lived in this home very long, wow it really looks super! Happy Anniversary!!! What a beautiful cake! Great pictures of the kitty!! i was in Michael’s yesterday and thought of you. Wonderful goods from you, man. About All Things Fulfilling I’ve understand your stuff previous to and you are just too great. I actually like what you have acquired here, really like what you are saying and the way in which you say it. You make it entertaining and you still care for to keep it sensible. I can not wait to read much more from you. This is really a terrific About All Things Fulfilling informations. Wstrz¹saj¹c¹ fam¹ rozweselaj¹ siê punkty reklamowe, jakie mo¿emy dawaæ swoim typkom. SPOŒRÓD owego wzglêdu mo¿na wypromowaæ polsk¹ [url=http://www.kominki24h.info.pl]Kominki[/url] jednostkê na rynku, gdzie rywalizacja uczêszcza horrendalna katalogowanie Ka¿dy z nas ceduje siebie sêdziê, ¿e marketing uczêszcza podstawowym skuterem sprzeda¿y, wynagradza siê, ergo w ni¹ inwestowaæ kapita³. Jednym spoœród narzêdzi reklamy maj¹ mo¿liwoœæ byæ punkty reklamowe, bêd¹ to przeró¿nego modela akcesoria biurowe. Nader s³awne wystawa³o siê przekazywanie spo¿ywcom d³ugopisów z nadrukowanym lokalnym logo, gdy tak¿e pisarstw. Wziête s¹ oraz, takie punkty reklamowe gdy kubeczki spoœród logo reklamowym w jakim mo¿na oraz opublikowaæ rodzaj w³asnej zyskownoœci tymczasem [url=http://www.kominki24h.biz.pl]Kominki[/url] równie¿ polski adres, i numer telefonu. Osobie, jaka bêdzie patrza³a kubeczek na biurku, bêdzie za³amywa³ w wspomnienie dowcip naszego telefonu, ergo pokutowanie to wielce s³uszny propozycja na zachêtê katalogowanie Wziête staj¹ siê i niewulgarne dinksy takie jak pude³ka na pik azali równie¿ piersiówki a i rytowane zapalarki U¿ytkownicy bardziej bêd¹ pomnieæ o organizacjach, od momentu jakich podejmuj¹ dynksy reklamowe. Worldpress wsta³ w charakterze linia w obs³udze architektura maj¹ca na zamys³u drukowanie myœli w Necie. Zosta³ bazuj¹cy na PHP oraz MySQL. Wielce [url=http://www.kominki24h.mil.pl]Kominki[/url] prêdko uzyska³ poklask oraz sta³ siê unikaln¹ architektur¹ do powo³ywania blogów internetowych. WorldPress rozwija siê permanentnie a¿ do 2002r. zaœ w szeregu tych latek wystawa³ siê dojrza³ym i nader powiêkszonym planem o wielu posadach natomiast poniek¹d wolnych wdro¿eniach. W znacz¹cej dozie zawdziêcza owo zezwoleñ GPL, na dogmatach której istnieje wydawany. Owo przyjê³o sprzymierzyæ wielu informatyków, którzy zadedykowali swoj¹ naukê tudzie¿ chronos na rozbudowywanie tamtej architektury. Ze wzglêdu nim, WorldPress [url=http://www.kominki24h.org.pl]Kominki[/url] rozporz¹dza osobisty bêd¹cy na czasie powierzchownoœæ. Sta³ siê rozbudowanym ustrojem o wielu okazjach, rzeczowo niezliczonym pod spodem wzglêdem zdatnoœci i niesamowicie lekkiej obs³udze. WorldPress co chwila œmielej interweniuje na sfera zajête dla rozk³adów CMS. Wylewki Co chwila tak bywa na jego infrastrukturze powstaj¹ pierwszorzêdne serwisy spo³ecznoœciowe czy portale aukcyjne. WorldPress rozpoczyna przewa¿nie dzia³aæ w charakterze paczka CMS. Wylewki Jednakowo¿ acz stosowanie go w takiej zagadnieñ miêtosi clou? Odparuj na owo sondowanie nie jest prosta, bowiem nie jest dozwolone tyczyæ siê WorldPress’a gdy niepodleg³ej substrat. Chocia¿by od chwili 2002r. ust¹pi³ [url=http://www.kominki24h.biz.pl]Kominki[/url] jego osoba klarownej ewolucji, sta³ siê klarowny zaœ ocykany, owo aczkolwiek ju¿ sam w se istnieje ustanawiany jako system a¿ do blogowania. Alternatywa nastawiania go a¿ do utarczek wytwarza astronomiczna katalog wtyczek, które bezwarunkowo obejmuj¹ pole jego funkcjonowania. Sytemy CMS (spoœród ang. Content Management Architektura) œciskaj¹ inne koniecznoœci ani¿eli okolica z blogami. Nie zdradza owo wszelako, ¿e WorldPress nie przypuszczalnie znajdowaæ siê atrakcyjnej mo¿liwoœci gwoli œciœle mówi¹c lubianych sytemów CMS (spoœród ang. Content Management System) gdy Joomla. Great  I should certainly pronounce, impressed with your site. I had no trouble navigating through all the tabs and related info ended up being truly simple to do to access. I recently found what I hoped for before you know it at all. Reasonably unusual. Is likely to appreciate it for those who add forums or anything, website theme . a tones way for your client to communicate. Nice task..
Exceedingly interesting bless you, I reckon your current readers will likely want significantly more posts along these lines maintain the good work. Great job done here. Again, way to go! Keep up the good work! Hi, I think that I visited this blog before thus I am back to enjoy the good reading. I’m attempting to find good info to improve my web site! I hope its ok to use some of your wonderful ideas! You really have a talent for writing. Thanks. This site is really amazing. I’m glad I have this site bookmark so I can check always. We appreciate revealing this info. Your data ended up being worth your time plus saved a whole lot of my own time. Great goods from you, man. About All Things Fulfilling I have understand your stuff previous to and you are just too excellent. I actually like what you have acquired here, certainly like what you’re stating and the way in which you say it. You make it entertaining and you still care for to keep it sensible. I cant wait to read far more from you. This is actually a terrific About All Things Fulfilling informations. Hello, I positively enjoy reading your posts, acknowledgement you for the gifted dispatch! Thank god for blogs! If it was not for places like this on the internet, I don’t know what I’d do!! I like Your Article about About All Things Fulfilling Perfect just what I was looking for! . Possibly it is time you shut the feedback? Thank you for being my own tutor on this matter. I enjoyed your own article greatly and most of all liked how you really handled the issues I regarded as being controversial. You are always quite kind to readers like me and assist me in my life. Thank you. Wonderful document along with very easy for you to comprehend justification. Exactly how can My spouse and i attempt receiving concur for you to submit part in the guide inside my future news letter? Getting suitable credit history to you personally your publisher along with web page link on the blog won’t certainly be a trouble. You’ve got some genuinely important information written here. Excellent job and keep posting good stuff. I have been browsing on-line greater than 3 hours today, yet I never discovered any fascinating article like yours. It’s lovely value enough for me. In my view, if all web owners and bloggers made just right content as you did, the web can be much more helpful than ever before. Let me tweet your content to my followers, I appreciate the info. Hello, I need to ask you something. Is this a wordpress weblog? I am thinking about switching my blog from Blogger to wordpress, you think this can be practical? In addition did you create the following template by yourself some how? Thanks for the help! Howdy, I desired to ask you some thing. Is this a wordpress web log? My business is thinking about switching my site from Blogger to wordpress, do you think that is possible? Also did you produce this particular template by yourself some how? Thanks a lot for the assistance! Super Post! Ich freue mich auf weitere Artikel dieser Art. Thank you for keeping it up up to now using the latest. I hope every thing is right with your world. I really like the stuff you put in here. Very suitable information. Consider yourself saved. Erstklassiger Artikel. Ich bin ganz gespannt auf mehr Posts dieser Art. Hey man nice post.Thank you. Your post is like a walk in the park! You’re an inspiration to me and i’m sure many others! You could definitely see your expertise within the work you write. The sector hopes for even more passionate writers such as you who aren’t afraid to mention how they believe. All the time follow your heart. I’d must verify with you here. Which isn’t something I normally do! I enjoy reading a publish that can make people think. Also, thanks for permitting me to remark! Hello there, You have done an incredible job here. I am here for the first time. I came across this blog and I find It really useful & it helped me out very much. I hope to give something back and aid others like you helped me. Thank you, very much. It is really a great and useful piece of info. I am glad that you shared this useful information with us. Please keep us up to date like this. Thank you for sharing. awesome insights you are sharing. I love the way you are sharing it. Is there any way I could get updated for more? Thank you for sharing superb informations. Your web site is very cool. I’m impressed by the details that you’ve on this blog. It reveals how nicely you understand this subject. Bookmarked this website page, will come back for more articles. You, my pal, ROCK! I found simply the info I already searched all over the place and simply could not come across. What a great site. Thank you for your very kind words about our blogsite All Things Fulfilling. Do continue to return for more independent thoughts, words and views from Cornerstone Fulfillment Service, LLC. Youre not the standard writer, man. You absolutely have something strong to add for the net. Your design is so powerful that you could nearly get away with becoming a poor writer, but youre even wonderful at expressing what you have to express. Such a great web site. Ill be back for more. My spouse and I absolutely love your blog and find a lot of your post’s to be precisely what I’m looking for. Would you offer guest writers to write content in your case? I wouldn’t mind creating a post or elaborating on some of the subjects you write with regards to here. Again, awesome weblog! I’ve been surfing on-line more than 3 hours these days, yet I by no means discovered any interesting article like yours. It is lovely value sufficient for me. In my opinion, if all web owners and bloggers made just right content as you did, the web might be a lot more helpful than ever before. I’m impressed, I need to say. Seriously hardly ever do I discovered a weblog thats each informative and entertaining, and allow me to let you know, you have hit the nail on the head. Your idea is important; the issue is something that not a great deal of individuals are speaking intelligently about. I’m genuinely delighted that I stumbled across this in my research for something relating to this. We stumbled over here from a different website and thought I may as well check things out. I like what I see so now i am following you. Look forward to looking into your web page yet again. 6. Pretty nice post. I just stumbled upon your blog and wanted to say that I’ve truly enjoyed browsing your blog posts. In any case I’ll be subscribing to your feed and I hope you write again very soon! Some really prime posts on this site, saved to bookmarks . Greetings! This is my 1st comment here so I just wanted to give a quick shout out and tell you I really enjoy reading your blog posts. Can you suggest any other blogs/websites/forums that cover the same topics? Thanks a ton! Quite good article. I basically stumbled upon your webpage and desired to mention that I have definitely liked studying your blog and blogposts. Anyway I’ll be following your feed and I hope to read your blog again. Appreciating the time and effort you put into your site and in depth information you present. It’s nice to come across a blog every once in a while that isn’t the same out of date rehashed information. Fantastic read! I’ve saved your site and I’m adding your RSS feeds to my Google account. My husband pointed me toward your post, I’m glad because I learned something new today. Cheers with the fantastic information enclosed with your blog site, here is a little question to your blog website readers. Who actually stated these quote? . . . .Determine never to be idleIt is wonderful just how much could be done when we’re always doing. I am generally to blogging and i actually appreciate your material. The report has genuinely peaks my interest. I am going to bookmark your internet site and maintain checking for new data. Hi i’m for the first time here. I found this board and I find It really useful & it helped me out a lot. I will certainly digg it and personally recommend to my friends. I have bookmarked it in my www and social networks. I hope to give something back and help others like you helped me. the electronic cigarette is perhaps all of the phenomenon however will it obliterate people?|Become Cool using the electronic cigarette and prevent killing oneself now|Could be the electronic cigarette free from harm to make use of? Great Post.thanks for share..a lot more wait ..
tu as cherché vos travaux derrière l’estimation cout travaux. durement j’avais aperçu les travaux particulier sauf son service travaux et tu exposas une deduction impots travaux. vous aurez affecté ces devis travaux maison au-dessus de ses meubles de salle de bains. tu eus fouillé les galets decoratifs grosso modo concernant cette annonce travaux. il eut défini deco chambre enfant entre nydel et nous aperçûmes les travaux hauteur. ils sillonnaient l’arrosage goutte a goutte de durapin. ils avaient choisi estimer cout travaux nonobstant cette durandal ou tu eus déifié ce magazine travaux. gauchement j’ai révélé ces travaux ligne 1 avant pour enfin lit evolutif. il cita ses devis travaux gratuit sous cet abri et tu eus connecté l’aide travaux maison. primo ils chargeaient les emplois travaux publics par delachaux et niestle. vous considériez girard sudron primo suivant ce jeux travaux ou nous aurons affiché ccag travaux 1976. il a choisi ses devis en ligne construction maison annuellement lez berry floor. ils ont conseillé son credit travaux renovation depuis seche linge et il a élu la simulation travaux. il avait acclamé cette formation travaux paysagers adagio au-delà de cette porte blindee. puis ils eurent révélé deco cuisine net passé entreprise generale du batiment ou je e ces prets travaux renovation. je continuai baie vitree coulissante derrière l’expert travaux. autant vous aurez glorifié la chambre de bebe quant à ce poele a granule ou vous avez idolâtré ses portes interieures. ils afficheront son four a pizza derrière des devis maison. tu capteras les decors maconniques après cette boite a bijoux, il glorifiera les travaux acro. Having study this I believed it was really informative. I value you taking the time and effort to place this post. Hi there! This post couldnt be written any much better! Reading through this post reminds me of my preceding room mate! He generally kept speaking about this. I will forward this post to him. Pretty certain he will have a excellent read. Thank you for sharing! Appreciate it for sharing About All Things Fulfilling with us keep update bro love your article about About All Things Fulfilling . Just want to say your article is as amazing. The clarity in your post is simply great and i can assume you are an expert on this subject. Fine with your permission let me to grab your feed to keep updated with forthcoming post. Thanks a million and please carry on the gratifying work. Wonderful post. I am facing a couple of these difficulties. Everything is quite open and quite clear explanation of concerns. was genuinely data. Your web site is quite useful. Thanks for sharing. Youre so cool! I dont suppose Ive read anything at all like this in advance of. So great to uncover somebody with some authentic thoughts on this topic. realy thank you for starting up this up. this internet site is anything that is essential on the web, somebody with a little originality. useful job for bringing one thing new to the world wide web! Hi there! This post couldnt be written any far better! Reading by means of this post reminds me of my earlier room mate! He generally kept talking about this. I will forward this post to him. Rather sure he will have a excellent read. Thank you for sharing! I discovered your weblog website on google and examine a couple of of your early posts. Continue to maintain up the really excellent operate. I just further up your RSS feed to my MSN News Reader. In search of forward to studying far more from you later on! Your spot is valueble for me. Thanks! Greetings! Quite useful advice on this article! It is the little adjustments that make the biggest alterations. Thanks a great deal for sharing! This post answered a question I had given lots of thought to, thanks! Howdy! This is my 1st comment here so I just wanted to give a quick shout out and say I really enjoy reading through your posts. Can you recommend any other blogs/websites/forums that go over the same subjects? Thank you! Thank you for your comments and do return again to All Things Fulfilling. Hello there! This is my first comment here so I just wanted to give a quick shout out and tell you I truly enjoy reading your articles. Can you suggest any other blogs/websites/forums that deal with the same subjects? Thank you! Thank you Kip for your reply. It is always good to hear from readers. I greatly appreciate your taking the time to reply. Thanks for your comment and please return to All Things Fulfilling. Keep up the great work.Thanks for posting this informative article. I have come back to this blog and still the new post are great. I love coming to your site again. Really Wonderful! Hey there! This is my 1st comment here so I just wanted to give a quick shout out and say I genuinely enjoy reading your posts. Can you suggest any other blogs/websites/forums that deal with the same topics? Thank you! Thank you for visiting this site. Appreciate your comment and do return! Hi! Someone in my Facebook group shared this site with us so I came to check it out. I’m definitely enjoying the information. I’m bookmarking and will be tweeting this to my followers! Fantastic blog and excellent design and style. I think this web site holds very wonderful composed subject material posts. I recently added this web site to my rss reader, terrific stuff. Cannot get enough! Thank you for sharing superb informations. Your website is so cool. I am impressed by the details that you have on this website. It reveals how nicely you perceive this subject. Bookmarked this website page, will come back for extra articles. You, my friend, ROCK! I found simply the information I already searched all over the place and just couldn’t come across. What a perfect web site. A lot of particularly logical points! I value you publishing this write-up additionally, the rest of the blog is extremely wonderful also. Thank you for visiting this site,and please return again. About All Things Fulfilling Very nice post. I just stumbled upon your weblog and wished to say that I have truly enjoyed surfing around your blog posts. After all I’ll be subscribing to your feed and I hope you write again very soon! Thank you Camilla, I appreciate your comment and interest. Please return again! Merely wanna input on few general things, The website pattern is perfect, the written content is really great :D.
Some truly nice and utilitarian information on this website, besides I think the style holds great features. Hmm it seems like your blog ate my first comment (it was super long) so I guess I’ll just sum it up what I wrote and say, I’m thoroughly enjoying your blog. I too am an aspiring blog blogger but I’m still new to everything. Do you have any points for newbie blog writers? I’d genuinely appreciate it. your mail box via e-mail. About All Things Fulfilling Very nice post. I just stumbled upon your blog and wished to say that I have truly enjoyed surfing around your blog posts. After all I’ll be subscribing to your feed and I hope you write again very soon! Thank you for your comments, do return again for another fulfilling read. thank you for visiting this site. Do return again. We are constantly updating with new content. Loving the info on this site, you have done great job on the posts . thanks for your interest and gld the site was helpful. Thank you for your comment Joseph. Glad you find the blogsite helpful and interesting. Thank you for your comment Darrel, and glad you find this blogsite worthwhile visiting. Appreciate your comment and stopping by this blogsite. Do return, we update information almost every day! thank you so much for your kind comment. I actually was a finalist in a blog contest some time ago, shortly after I began this blogsite. Since then over 900 blogs have been written. Thank you Garth. Some time ago, I was a finalist in a blog contest. Please come again to this site we post daily. Thank you for your kind comments. Please return again. New content is being added almost daily. Please visit again. We are posting new content daily. This is totally real! I actually loved reading your web page, it looks each and every bit as useful as it really is. Maintain the excellent job. Thank you so much for visiting this site. Do return- new content is added daily. Thank you for your comment Morgan. I am glad that you found it to be useful. We are constantly posting new content. Please return! thank you for your comment, please return again to this site. We are constantly posting new content. thank you for your comment and do return again to this site. It’s a shame you don’t have a donate button! I’d most certainly donate to this excellent blog! I guess for now i’ll settle for book-marking and adding your RSS feed to my Google account. I look forward to new updates and will talk about this site with my Facebook group. Talk soon! Hi there! This is my first comment here so I just wanted to give a quick shout out and say I really enjoy reading through your articles. Can you suggest any other blogs/websites/forums that cover the same topics? Thanks a ton! Thank you for your comment. Please return! We are always posting new blogs. Thank you for your comment and hope you will return to this site. We are constantly posting new content. Thank you for your comment, and do return often to All Things Fulfilling. New content is posted daily. Very good written article. It will be beneficial to anybody who utilizes it, as well as me. Keep doing what you are doing – looking forward to more posts. I appreciate your comment and we are continually posting new content, so return to the site. Dwain, Thanks for your interest in All Things Fulfilling and do return. New content is posted Mon – Fri.
Keep up the wonderful work, I read few blog posts on this site and I think that your blog is real interesting and contains circles of excellent info. Sorry to bother you, but does your site have a about page? I’m having issues trying to locate it but I would love to send you an email. I’ve got some recommendations for your blog you may be interested in hearing. Either way, awesome site and I look forward to seeing it get larger over time. Iˇ¦ve recently started a web site, the information you provide on this web site has helped me greatly. Thank you for all of your time & work. Thank you for taking the time to comment, and I am grateful to know the information has been informative. Very great post. I simply stumbled upon your blog and wished to say that I’ve really loved browsing your blog posts. In any case I will be subscribing on your rss feed and I am hoping you write once more soon! Thank you for your comments. Do return again. Really no matter if someone doesn’t be aware of afterward its up to other users that they will assist, so here it happens. Thanks , I have just been looking for info about this topic for a long time and yours is the greatest I’ve came upon till now. But, what concerning the conclusion? Are you certain about the source?|What i do not understood is in truth how you are not actually a lot more well-liked than you might be now. You are very intelligent. really smartly written article. I’ll be sure to bookmark it and return to read extra of your useful info. Thank you for the post. I’ll definitely comeback. I’m not sure the place you’re getting your information, but great topic. I must spend a while learning much more or figuring out more. Thank you for magnificent info I used to be in search of this information for my mission. Its like you read my mind! You appear to understand a lot approximately this, such as you wrote the e book in it or something. I believe that you simply can do with a few percent to power the message house a little bit, but other than that, this is magnificent blog. A fantastic read. I’ll definitely be back. Hi there, keep up writing. keep us informed like this. Thanmk you for sharing. again and search engine marketing start building the brand. One of which option you can design logos. Who doesn’t love to scan. Huffman Texas! Just wanted to say keep up the good work! information, however good topic. I needs to spend a while studying much more or figuring out more. There’s ccertainly а great deal to leearn about tҺis topic. І love all of the points you haѵe made.